1. Megabus is the Southwest of bus travel. Right now I’m on a trip from Kansas City to Chicago for 22.50. Not bad, huh? – Only stopping in major cities/hubs. Don’t expect one to stop in your small town anytime soon. – Making customers book at least 24 hours in advance online or by phone. – Eliminating overhead; namely, bus stations. More on that next. 2.Megabus makes you brave the elements. Expect departure and arrival locations to be outdoors in a parking lot, street corner, or some other random place they can do it for free. This is fine on nice sunny days. Not so great in the dead of winter or if it’s raining. You can try to find restaurants or shopping centers nearby. 3. Megabus is equipped with electrical outlets and free WiFi...when they work. I wouldn’t count on these. Sometimes only one side of the bus has power. Other times, the WiFi is completely down or spotty and sluggish at best. 4. Megabus is FREEZING at night. Apparently they don’t trust their drivers or something because the temperature is locked and can’t be changed. Bring a blanket. 5. Megabus is not very concerned about your customer experience. I lost a pillow and it took them bizarrely long to respond to my email (never did find it). Bus drivers sometimes shout angrily at passengers and toss bags on the bus carelessly. I get the distinct feeling that customers are seen as expendable rather than valuable. But with prices this low, there’s always going to be demand and they know it. 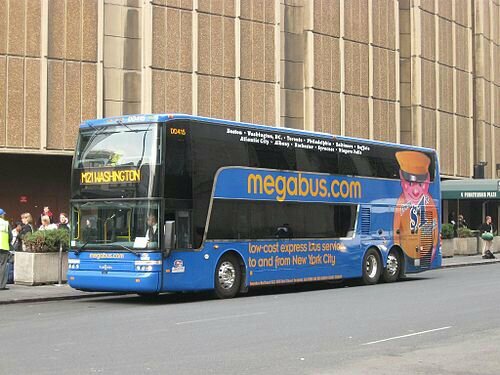 Bottom line: If you want to get somewhere inexpensively and at times inconveniently, Megabus may be for you.